Miss Flood visited Telescope House in Surrey earlier this week to confirm arrangements for the astronomical instruments that will be used in the observatory. 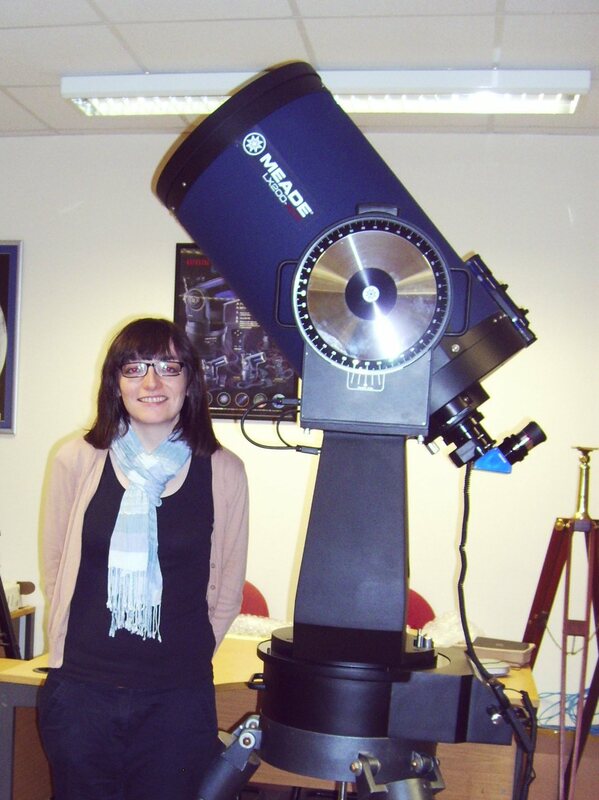 Here she is pictured with the main telescope, a Meade LX200 16. It has a 16 inch aperture – this is the light collecting area. The larger the aperture the more light it can collect and the better the resolution. We will use a range of eyepieces to achieve different magnifications. This entry was posted in Instruments and tagged Astronomy, Meade LX200 16, Telescope. Bookmark the permalink.